After years of unbridled debauchery, Tristan Sinclair, Viscount St. Ashton has hit proverbial rock bottom. Seeking to escape his melancholy, he takes refuge at one of Victorian society's most notorious house parties. As the Christmas season approaches, he prepares to settle in for a month of heavy drinking . . . until an unexpected encounter changes his plans—and threatens his heart. Valentine March is not the drab little spinster she appears to be. 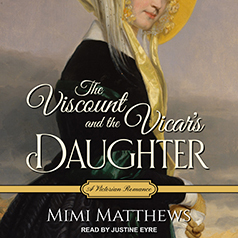 When her new job as a lady's companion lands her smack in the middle of Yorkshire with England's most infamous rake, she resolves to keep her head down and her eyes fixed firmly on her future—a future which most definitely does not include a sinfully handsome viscount. A friendship is impossible. An affair out of the question. But when one reckless act binds them together, will two star-crossed souls discover there's more to each other than meets the eye? Or will revelations from the past end their fragile romance before it begins?